My point is this: The Giants front office seems to always be in a position of reaction rather then proactive behavior and planning. This year is no exception. They hang on too long to their veteran-first philosophy to their detriment. I could into much greater detail with all of this but I will save it for the offseason. In the month of August, the Giants are averaging 3.42 runs a game. In 19 games so far this mont the Giants have scored more than 3 runs a measly 6 times! 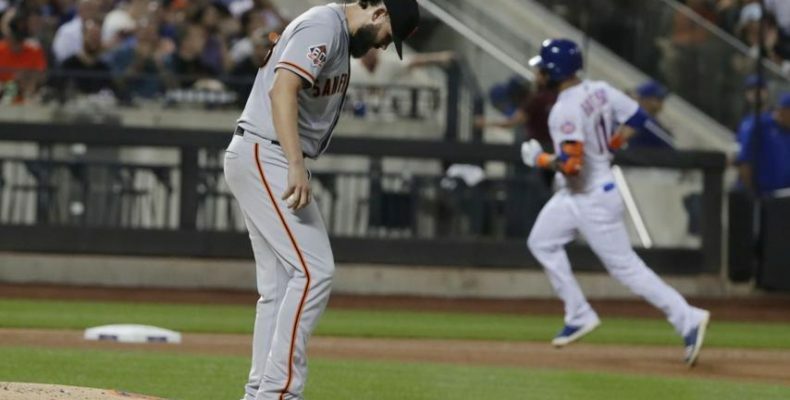 In last night’s game the Giants kept falling behind and and fighting back. In three such cases the Mets answered with long balls. The Giants pitching staff had been the best in MLB this season at avoiding home runs. Not last night. It was frustrating. The Mets went deep thrice after playing long ball in their previous victory over the Giants. The San Franciscans are making a very mad New York Metropolitans team look good and that’s sad. The Giants had six hits total, two each by Panik and Slater. BCraw made two errors. Casey Kelly pitched six innings allowing only two earned runs. 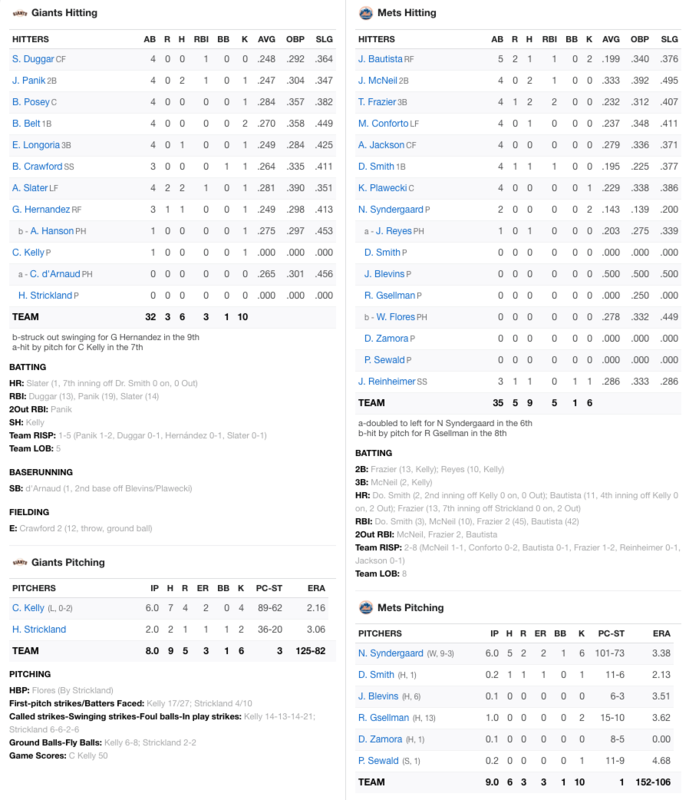 This was a textbook game of losing baseball. It should be taught in baseball seminars. On a happier note, my buddy and yours, The Sincere, aka John Charney is an accomplished musician in addition to being a great Giants fan. He has a new album out, Far Away From Today. Buy it now! Here is a new video with one of his songs.